An undeniably powerful book it's impossible to like. Review to come. 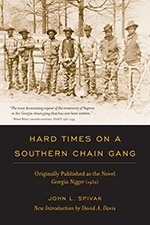 Amazing resource on what chain gangs were like, incestuous rural governance, black southern experience in New South, and cracker governance.